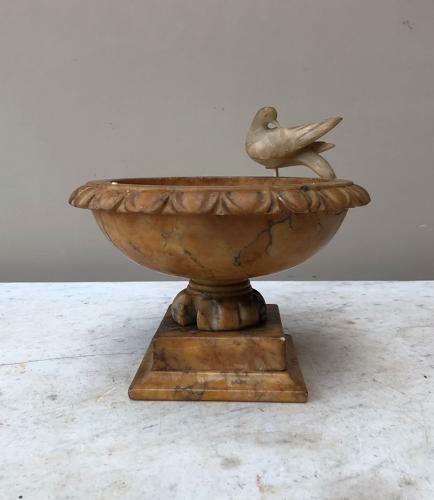 Late Victorain Pretty Carved Alabaster Urn. It comes with four birds which origianally attached around the top. I prefer it with one or without them...so you can use it to hold soaps etc. The urn comes in two parts and is in great condition. Two of the four birds have small damage and the birds have actually been put on matchsticks which go in the four holes around the top - obviously they arent original but how I bought it. Post is Parcel Force 48 £12.98 - it is heavy.